YUSUFALI: (Inevitable) cometh (to pass) the Command of Allah: seek ye not then to hasten it: Glory to Him, and far is He above having the partners they ascribe unto Him! PICKTHAL: The commandment of Allah will come to pass, so seek not ye to hasten it. Glorified and Exalted be He above all that they associate (with Him). SHAKIR: Allah's commandment has come, therefore do not desire to hasten it; glory be to Him, and highly exalted be He above what they associate (with Him). YUSUFALI: He doth send down His angels with inspiration of His Command, to such of His servants as He pleaseth, (saying): "Warn (Man) that there is no god but I: so do your duty unto Me." PICKTHAL: He sendeth down the angels with the Spirit of His command unto whom He will of His bondmen, (saying): Warn mankind that there is no Allah save Me, so keep your duty unto Me. SHAKIR: He sends down the angels with the inspiration by His commandment on whom He pleases of His servants, saying: Give the warning that there is no god but Me, therefore be careful (of your duty) to Me. YUSUFALI: He has created the heavens and the earth for just ends: Far is He above having the partners they ascribe to Him! PICKTHAL: He hath created the heavens and the earth with truth. High be He Exalted above all that they associate (with Him). SHAKIR: He created the heavens and the earth with the truth, highly exalted be He above what they associate (with Him). YUSUFALI: He has created man from a sperm-drop; and behold this same (man) becomes an open disputer! PICKTHAL: He hath created man from a drop of fluid, yet behold! he is an open opponent. SHAKIR: He created man from a small seed and lo! he is an open contender. YUSUFALI: And cattle He has created for you (men): from them ye derive warmth, and numerous benefits, and of their (meat) ye eat. SHAKIR: And He created the cattle for you; you have in them warm clothing and (many) advantages, and of them do you eat. YUSUFALI: And ye have a sense of pride and beauty in them as ye drive them home in the evening, and as ye lead them forth to pasture in the morning. PICKTHAL: And wherein is beauty for you, when ye bring them home, and when ye take them out to pasture. SHAKIR: And there is beauty in them for you when you drive them back (to home), and when you send them forth (to pasture). PICKTHAL: And they bear your loads for you unto a land ye could not reach save with great trouble to yourselves. Lo! your Lord is Full of Pity, Merciful. SHAKIR: And they carry your heavy loads to regions which you could not reach but with distress of the souls; most surely your Lord is Compassionate, Merciful. YUSUFALI: And (He has created) horses, mules, and donkeys, for you to ride and use for show; and He has created (other) things of which ye have no knowledge. PICKTHAL: And horses and mules and asses (hath He created) that ye may ride them, and for ornament. And He createth that which ye know not. SHAKIR: And (He made) horses and mules and asses that you might ride upon them and as an ornament; and He creates what you do not know. YUSUFALI: And unto Allah leads straight the Way, but there are ways that turn aside: if Allah had willed, He could have guided all of you. PICKTHAL: And Allah's is the direction of the way, and some (roads) go not straight. And had He willed He would have led you all aright. SHAKIR: And upon Allah it rests to show the right way, and there are some deviating (ways); and if He please He would certainly guide you all aright. YUSUFALI: It is He who sends down rain from the sky: from it ye drink, and out of it (grows) the vegetation on which ye feed your cattle. PICKTHAL: He it is Who sendeth down water from the sky, whence ye have drink, and whence are trees on which ye send your beasts to pasture. SHAKIR: He it is Who sends down water from the cloud for you; it gives drink, and by it (grow) the trees upon which you pasture. YUSUFALI: With it He produces for you corn, olives, date-palms, grapes and every kind of fruit: verily in this is a sign for those who give thought. PICKTHAL: Therewith He causeth crops to grow for you, and the olive and the date-palm and grapes and all kinds of fruit. Lo! herein is indeed a portent for people who reflect. SHAKIR: He causes to grow for you thereby herbage, and the olives, and the palm trees, and the grapes, and of all the fruits; most surely there is a sign in this for a people who reflect. YUSUFALI: He has made subject to you the Night and the Day; the sun and the moon; and the stars are in subjection by His Command: verily in this are Signs for men who are wise. PICKTHAL: And He hath constrained the night and the day and the sun and the moon to be of service unto you, and the stars are made subservient by His command. Lo! herein indeed are portents for people who have sense. YUSUFALI: And the things on this earth which He has multiplied in varying colours (and qualities): verily in this is a sign for men who celebrate the praises of Allah (in gratitude). PICKTHAL: And whatsoever He hath created for you in the earth of divers hues, lo! therein is indeed a portent for people who take heed. SHAKIR: And what He has created in the earth of varied hues most surely there is a sign in this for a people who are mindful. YUSUFALI: It is He Who has made the sea subject, that ye may eat thereof flesh that is fresh and tender, and that ye may extract therefrom ornaments to wear; and thou seest the ships therein that plough the waves, that ye may seek (thus) of the bounty of Allah and that ye may be grateful. PICKTHAL: And He it is Who hath constrained the sea to be of service that ye eat fresh meat from thence, and bring forth from thence ornaments which ye wear. And thou seest the ships ploughing it that ye (mankind) may seek of His bounty and that haply ye may give thanks. SHAKIR: And He it is Who has made the sea subservient that you may eat fresh flesh from it and bring forth from it ornaments which you wear, and you see the ships cleaving through it, and that you might seek of His bounty and that you may give thanks. PICKTHAL: And He hath cast into the earth firm hills that it quake not with you, and streams and roads that ye may find a way. YUSUFALI: And marks and sign-posts; and by the stars (men) guide themselves. PICKTHAL: And landmarks (too), and by the star they find a way. SHAKIR: And landmarks; and by the stars they find the right way. YUSUFALI: Is then He Who creates like one that creates not? Will ye not receive admonition? PICKTHAL: Is He then Who createth as him who createth not? Will ye not then remember? SHAKIR: Is He then Who creates like him who does not create? Do you not then mind? YUSUFALI: If ye would count up the favours of Allah, never would ye be able to number them: for Allah is Oft-Forgiving, Most Merciful. PICKTHAL: And if ye would count the favour of Allah ye cannot reckon it. Lo! Allah is indeed Forgiving, Merciful. SHAKIR: And if you would count Allah's favors, you will not be able to number them; most surely Allah is Forgiving, Merciful. YUSUFALI: And Allah doth know what ye conceal, and what ye reveal. PICKTHAL: And Allah knoweth that which ye keep hidden and that which ye proclaim. SHAKIR: And Allah knows what you conceal and what you do openly. YUSUFALI: Those whom they invoke besides Allah create nothing and are themselves created. PICKTHAL: Those unto whom they cry beside Allah created naught, but are themselves created. YUSUFALI: (They are things) dead, lifeless: nor do they know when they will be raised up. PICKTHAL: (They are) dead, not living. And they know not when they will be raised. SHAKIR: Dead (are they), not living, and they know not when they shall be raised. YUSUFALI: Your Allah is one Allah: as to those who believe not in the Hereafter, their hearts refuse to know, and they are arrogant. PICKTHAL: Your Allah is One Allah. But as for those who believe not in the Hereafter their hearts refuse to know, for they are proud. SHAKIR: Your Allah is one Allah; so (as for) those who do not believe m the hereafter, their hearts are ignorant and they are proud. YUSUFALI: Undoubtedly Allah doth know what they conceal, and what they reveal: verily He loveth not the arrogant. PICKTHAL: Assuredly Allah knoweth that which they keep hidden and that which they proclaim. Lo! He loveth not the proud. SHAKIR: Truly Allah knows what they hide and what they manifest; surely He does not love the proud. YUSUFALI: When it is said to them, "What is it that your Lord has revealed?" they say, "Tales of the ancients!" YUSUFALI: Let them bear, on the Day of Judgment, their own burdens in full, and also (something) of the burdens of those without knowledge, whom they misled. Alas, how grievous the burdens they will bear! PICKTHAL: That they may bear their burdens undiminished on the Day of Resurrection, with somewhat of the burdens of those whom they mislead without knowledge. Ah! evil is that which they bear! SHAKIR: That they may bear their burdens entirely on the day of resurrection and also of the burdens of those whom they lead astray without knowledge; now surely evil is what they bear. YUSUFALI: Those before them did also plot (against Allah's Way): but Allah took their structures from their foundations, and the roof fell down on them from above; and the Wrath seized them from directions they did not perceive. SHAKIR: Those before them did indeed devise plans, but Allah demolished their building from the foundations, so the roof fell down on them from above them, and the punishment came to them from whence they did not perceive. PICKTHAL: Whom the angels cause to die while they are wronging themselves. Then will they make full submission (saying): We used not to do any wrong. Nay! Surely Allah is Knower of what ye used to do. SHAKIR: Those whom the angels cause to die while they are unjust to themselves. Then would they offer submission: We used not to do any evil. Aye! surely Allah knows what you did. YUSUFALI: "So enter the gates of Hell, to dwell therein. Thus evil indeed is the abode of the arrogant." PICKTHAL: So enter the gates of hell, to dwell therein for ever. Woeful indeed will be the lodging of the arrogant. SHAKIR: Therefore enter the gates of hell, to abide therein; so certainly evil is the dwelling place of the proud. YUSUFALI: (Namely) those whose lives the angels take in a state of purity, saying (to them), "Peace be on you; enter ye the Garden, because of (the good) which ye did (in the world)." PICKTHAL: Those whom the angels cause to die (when they are) good. They say: Peace be unto you! Enter the Garden because of what ye used to do. SHAKIR: Those whom the angels cause to die in a good state, saying: Peace be on you: enter the garden for what you did. YUSUFALI: Do the (ungodly) wait until the angels come to them, or there comes the Command of thy Lord (for their doom)? So did those who went before them. But Allah wronged them not: nay, they wronged their own souls. SHAKIR: They do not wait aught but that the angels should come to them or that the commandment of your Lord should come to pass. Thus did those before them; and Allah was not unjust to them, but they were unjust to themselves. YUSUFALI: But the evil results of their deeds overtook them, and that very (Wrath) at which they had scoffed hemmed them in. PICKTHAL: So that the evils of what they did smote them, and that which they used to mock surrounded them. SHAKIR: So the evil (consequences) of what they did shall afflict them and that which they mocked shall encompass them. YUSUFALI: The worshippers of false gods say: "If Allah had so willed, we should not have worshipped aught but Him - neither we nor our fathers,- nor should we have prescribed prohibitions other than His." So did those who went before them. But what is the mission of messengers but to preach the Clear Message? PICKTHAL: And the idolaters say: Had Allah willed, we had not worshipped aught beside Him, we and our fathers, nor had we forbidden aught without (command from) Him. Even so did those before them. Are the messengers charged with aught save plain conveyance (of the message)? SHAKIR: And they who give associates (to Allah) say: If Allah had pleased, we would not have served anything besides Allah, (neither) we nor our fathers, nor would we have prohibited anything without (order from) Him. Thus did those before them; is then aught incumbent upon the messengers except a plain delivery (of the message)? YUSUFALI: For We assuredly sent amongst every People a messenger, (with the Command), "Serve Allah, and eschew Evil": of the People were some whom Allah guided, and some on whom error became inevitably (established). So travel through the earth, and see what was the end of those who denied (the Truth). PICKTHAL: And verily We have raised in every nation a messenger, (proclaiming): Serve Allah and shun false gods. Then some of them (there were) whom Allah guided, and some of them (there were) upon whom error had just hold. Do but travel in the land and see the nature of the consequence for the deniers! SHAKIR: And certainly We raised in every nation a messenger saying: Serve Allah and shun the Shaitan. So there were some of them whom Allah guided and there were others against whom error was due; therefore travel in the land, then see what was the end of the rejecters. YUSUFALI: If thou art anxious for their guidance, yet Allah guideth not such as He leaves to stray, and there is none to help them. PICKTHAL: Even if thou (O Muhammad) desirest their right guidance, still Allah assuredly will not guide him who misleadeth. Such have no helpers. SHAKIR: If you desire for their guidance, yet surely Allah does not guide him who leads astray, nor shall they have any helpers. YUSUFALI: They swear their strongest oaths by Allah, that Allah will not raise up those who die: Nay, but it is a promise (binding) on Him in truth: but most among mankind realise it not. YUSUFALI: (They must be raised up), in order that He may manifest to them the truth of that wherein they differ, and that the rejecters of Truth may realise that they had indeed (surrendered to) Falsehood. PICKTHAL: That He may explain unto them that wherein they differ, and that those who disbelieved may know that they were liars. SHAKIR: So that He might make manifest to them that about which they differ, and that those who disbelieve might know that they were liars. YUSUFALI: For to anything which We have willed, We but say the word, "Be", and it is. PICKTHAL: And Our word unto a thing, when We intend it, is only that We say unto it: Be! and it is. SHAKIR: Our word for a thing when We intend it, is only that We say to it, Be, and it is. YUSUFALI: To those who leave their homes in the cause of Allah, after suffering oppression,- We will assuredly give a goodly home in this world; but truly the reward of the Hereafter will be greater. If they only realised (this)! YUSUFALI: (They are) those who persevere in patience, and put their trust on their Lord. PICKTHAL: Such as are steadfast and put their trust in Allah. SHAKIR: Those who are patient and on their Lord do they rely. YUSUFALI: And before thee also the messengers We sent were but men, to whom We granted inspiration: if ye realise this not, ask of those who possess the Message. YUSUFALI: (We sent them) with Clear Signs and Books of dark prophecies; and We have sent down unto thee (also) the Message; that thou mayest explain clearly to men what is sent for them, and that they may give thought. PICKTHAL: With clear proofs and writings; and We have revealed unto thee the Remembrance that thou mayst explain to mankind that which hath been revealed for them, and that haply they may reflect. SHAKIR: With clear arguments and scriptures; and We have revealed to you the Reminder that you may make clear to men what has been revealed to them, and that haply they may reflect. PICKTHAL: Are they who plan ill-deeds then secure that Allah will not cause the earth to swallow them, or that the doom will not come on them whence they know not? SHAKIR: Do they then who plan evil (deeds) feel secure (of this) that Allah will not cause the earth to swallow them or that punishment may not overtake them from whence they do not perceive? PICKTHAL: Or that He will not seize them in their going to and fro so that there be no escape for them? YUSUFALI: Or that He may not call them to account by a process of slow wastage - for thy Lord is indeed full of kindness and mercy. PICKTHAL: Or that He will not seize them with a gradual wasting? Lo! thy Lord is indeed Full of Pity, Merciful. SHAKIR: Or that He may not seize them by causing them to suffer gradual loss, for your Lord is most surely Compassionate, Merciful. YUSUFALI: Do they not look at Allah's creation, (even) among (inanimate) things,- How their (very) shadows turn round, from the right and the left, prostrating themselves to Allah, and that in the humblest manner? PICKTHAL: Have they not observed all things that Allah hath created, how their shadows incline to the right and to the left, making prostration unto Allah, and they are lowly? SHAKIR: Do they not consider every thing that Allah has created? Its (very) shadows return from right and left, making obeisance to Allah while they are in utter abasement. YUSUFALI: And to Allah doth obeisance all that is in the heavens and on earth, whether moving (living) creatures or the angels: for none are arrogant (before their Lord). PICKTHAL: And unto Allah maketh prostration whatsoever is in the heavens and whatsoever is in the earth of living creatures, and the angels (also) and they are not proud. SHAKIR: And whatever creature that is in the heavens and that is in the earth makes obeisance to Allah (only), and the angels (too) and they do not show pride. YUSUFALI: They all revere their Lord, high above them, and they do all that they are commanded. PICKTHAL: They fear their Lord above them, and do what they are bidden. SHAKIR: They fear their Lord above them and do what they are commanded. YUSUFALI: Allah has said: "Take not (for worship) two gods: for He is just One Allah: then fear Me (and Me alone)." PICKTHAL: Allah hath said: Choose not two gods. There is only One Allah. So of Me, Me only, be in awe. SHAKIR: And Allah has said: Take not two gods, He is only one Allah; so of Me alone should you be afraid. YUSUFALI: To Him belongs whatever is in the heavens and on earth, and to Him is duty due always: then will ye fear other than Allah? PICKTHAL: Unto Him belongeth whatsoever is in the heavens and the earth, and religion is His for ever. Will ye then fear any other than Allah? SHAKIR: And whatever is in the heavens and the earth is His, and to Him should obedience be (rendered) constantly; will you then guard against other than (the punishment of) Allah? PICKTHAL: And whatever of comfort ye enjoy, it is from Allah. Then, when misfortune reacheth you, unto Him ye cry for help. SHAKIR: And whatever favor is (bestowed) on you it is from Allah; then when evil afflicts you, to Him do you cry for aid. YUSUFALI: (As if) to show their ingratitude for the favours we have bestowed on them! then enjoy (your brief day): but soon will ye know (your folly)! PICKTHAL: So as to deny that which We have given them. Then enjoy life (while ye may), for ye will come to know. YUSUFALI: And they (even) assign, to things they do not know, a portion out of that which We have bestowed for their sustenance! By Allah, ye shall certainly be called to account for your false inventions. PICKTHAL: And they assign a portion of that which We have given them unto what they know not. By Allah! but ye will indeed be asked concerning (all) that ye used to invent. SHAKIR: And they set apart for what they do not know a portion of what We have given them. By Allah, you shall most certainly be questioned about that which you forged. YUSUFALI: And they assign daughters for Allah! - Glory be to Him! - and for themselves (sons,- the issue) they desire! SHAKIR: And they ascribe daughters to Allah, glory be to Him; and for themselves (they would have) what they desire. YUSUFALI: When news is brought to one of them, of (the birth of) a female (child), his face darkens, and he is filled with inward grief! PICKTHAL: When if one of them receiveth tidings of the birth of a female, his face remaineth darkened, and he is wroth inwardly. SHAKIR: And when a daughter is announced to one of them his face becomes black and he is full of wrath. YUSUFALI: With shame does he hide himself from his people, because of the bad news he has had! Shall he retain it on (sufferance and) contempt, or bury it in the dust? Ah! what an evil (choice) they decide on? PICKTHAL: He hideth himself from the folk because of the evil of that whereof he hath had tidings, (asking himself): Shall he keep it in contempt, or bury it beneath the dust. Verily evil is their judgment. SHAKIR: He hides himself from the people because of the evil of that which is announced to him. Shall he keep it with disgrace or bury it (alive) in the dust? Now surely evil is what they judge. YUSUFALI: To those who believe not in the Hereafter, applies the similitude of evil: to Allah applies the highest similitude: for He is the Exalted in Power, full of Wisdom. PICKTHAL: For those who believe not in the Hereafter is an evil similitude, and Allah's is the Sublime Similitude. He is the Mighty, the Wise. SHAKIR: For those who do not believe in the hereafter is an evil attribute, and Allah's is the loftiest attribute; and He is the Mighty, the Wise. YUSUFALI: If Allah were to punish men for their wrong-doing, He would not leave, on the (earth), a single living creature: but He gives them respite for a stated Term: When their Term expires, they would not be able to delay (the punishment) for a single hour, just as they would not be able to anticipate it (for a single hour). PICKTHAL: If Allah were to take mankind to task for their wrong-doing, he would not leave hereon a living creature, but He reprieveth them to an appointed term, and when their term cometh they cannot put (it) off an hour nor (yet) advance (it). SHAKIR: And if Allah had destroyed men for their iniquity, He would not leave on the earth a single creature, but He respites them till an appointed time; so when their doom will come they shall not be able to delay (it) an hour nor can they bring (it) on (before its time). YUSUFALI: They attribute to Allah what they hate (for themselves), and their tongues assert the falsehood that all good things are for themselves: without doubt for them is the Fire, and they will be the first to be hastened on into it! PICKTHAL: And they assign unto Allah that which they (themselves) dislike, and their tongues expound the lie that the better portion will be theirs. Assuredly theirs will be the Fire, and they will be abandoned. SHAKIR: And they ascribe to Allah what they (themselves) hate and their tongues relate the lie that they shall have the good; there is no avoiding it that for them is the fire and that they shall be sent before. YUSUFALI: By Allah, We (also) sent (Our messengers) to Peoples before thee; but Satan made, (to the wicked), their own acts seem alluring: He is also their patron today, but they shall have a most grievous penalty. PICKTHAL: By Allah, We verily sent messengers unto the nations before thee, but the devil made their deeds fairseeming unto them. So he is their patron this day, and theirs will be a painful doom. SHAKIR: By Allah, most certainly We sent (messengers) to nations before you, but the Shaitan made their deeds fair-seeming to them, so he is their guardian today, and they shall have a painful punishment. YUSUFALI: And We sent down the Book to thee for the express purpose, that thou shouldst make clear to them those things in which they differ, and that it should be a guide and a mercy to those who believe. PICKTHAL: And We have revealed the Scripture unto thee only that thou mayst explain unto them that wherein they differ, and (as) a guidance and a mercy for a people who believe. SHAKIR: And We have not revealed to you the Book except that you may make clear to them that about which they differ, and (as) a guidance and a mercy for a people who believe. YUSUFALI: And Allah sends down rain from the skies, and gives therewith life to the earth after its death: verily in this is a Sign for those who listen. PICKTHAL: Allah sendeth down water from the sky and therewith reviveth the earth after her death. Lo! herein is indeed a portent for a folk who hear. SHAKIR: And Allah has sent down water from the cloud and therewith given life to the earth after its death; most surely there is a sign in this for a people who would listen. YUSUFALI: And verily in cattle (too) will ye find an instructive sign. From what is within their bodies between excretions and blood, We produce, for your drink, milk, pure and agreeable to those who drink it. PICKTHAL: And lo! in the cattle there is a lesson for you. We give you to drink of that which is in their bellies, from betwixt the refuse and the blood, pure milk palatable to the drinkers. SHAKIR: And most surely there is a lesson for you in the cattle; We give you to drink of what is in their bellies-- from betwixt the feces and the blood-- pure milk, easy and agreeable to swallow for those who drink. YUSUFALI: And from the fruit of the date-palm and the vine, ye get out wholesome drink and food: behold, in this also is a sign for those who are wise. PICKTHAL: And of the fruits of the date-palm, and grapes, whence ye derive strong drink and (also) good nourishment. Lo! therein is indeed a portent for people who have sense. SHAKIR: And of the fruits of the palms and the grapes-- you obtain from them intoxication and goodly provision; most surely there is a sign in this for a people who ponder. YUSUFALI: Then to eat of all the produce (of the earth), and find with skill the spacious paths of its Lord: there issues from within their bodies a drink of varying colours, wherein is healing for men: verily in this is a Sign for those who give thought. PICKTHAL: Then eat of all fruits, and follow the ways of thy Lord, made smooth (for thee). There cometh forth from their bellies a drink divers of hues, wherein is healing for mankind. Lo! herein is indeed a portent for people who reflect. SHAKIR: Then eat of all the fruits and walk in the ways of your Lord submissively. There comes forth from within it a beverage of many colours, in which there is healing for men; most surely there is a sign in this for a people who reflect. YUSUFALI: It is Allah who creates you and takes your souls at death; and of you there are some who are sent back to a feeble age, so that they know nothing after having known (much): for Allah is All-Knowing, All-Powerful. PICKTHAL: And Allah createth you, then causeth you to die, and among you is he who is brought back to the most abject stage of life, so that he knoweth nothing after (having had) knowledge. Lo! Allah is Knower, Powerful. SHAKIR: And Allah has created you, then He causes you to die, and of you is he who is brought back to the worst part of life, so that after having knowledge he does not know anything; surely Allah is Knowing, Powerful. YUSUFALI: Allah has bestowed His gifts of sustenance more freely on some of you than on others: those more favoured are not going to throw back their gifts to those whom their right hands possess, so as to be equal in that respect. Will they then deny the favours of Allah? PICKTHAL: And Allah hath favoured some of you above others in provision. Now those who are more favoured will by no means hand over their provision to those (slaves) whom their right hands possess, so that they may be equal with them in respect thereof. Is it then the grace of Allah that they deny? SHAKIR: And Allah has made some of you excel others in the means of subsistence, so those who are made to excel do not give away their sustenance to those whom their right hands possess so that they should be equal therein; is it then the favor of Allah which they deny? PICKTHAL: And Allah hath given you wives of your own kind, and hath given you, from your wives, sons and grandsons, and hath made provision of good things for you. Is it then in vanity that they believe and in the grace of Allah that they disbelieve? SHAKIR: And Allah has made wives for you from among yourselves, and has given you sons and grandchildren from your wives, and has given you of the good things; is it then in the falsehood that they believe while it is in the favor of Allah that they disbelieve? YUSUFALI: And worship others than Allah,- such as have no power of providing them, for sustenance, with anything in heavens or earth, and cannot possibly have such power? PICKTHAL: And they worship beside Allah that which owneth no provision whatsoever for them from the heavens or the earth, nor have they (whom they worship) any power. SHAKIR: And they serve besides Allah that which does not control for them any sustenance at all from the heavens and the earth, nor have they any power. YUSUFALI: Invent not similitudes for Allah: for Allah knoweth, and ye know not. PICKTHAL: So coin not similitudes for Allah. Lo! Allah knoweth; ye know not. SHAKIR: Therefore do not give likenesses to Allah; surely Allah knows and you do not know. YUSUFALI: Allah sets forth the Parable (of two men: one) a slave under the dominion of another; He has no power of any sort; and (the other) a man on whom We have bestowed goodly favours from Ourselves, and he spends thereof (freely), privately and publicly: are the two equal? (By no means;) praise be to Allah. But most of them understand not. PICKTHAL: Allah coineth a similitude: (on the one hand) a (mere) chattel slave, who hath control of nothing, and (on the other hand) one on whom we have bestowed a fair provision from Us, and he spendeth thereof secretly and openly. Are they equal? Praise be to Allah! But most of them know not. SHAKIR: Allah sets forth a parable: (consider) a slave, the property of another, (who) has no power over anything, and one whom We have granted from Ourselves a goodly sustenance so he spends from it secretly and openly; are the two alike? (All) praise is due to Allah! Nay, most of them do not know. YUSUFALI: Allah sets forth (another) Parable of two men: one of them dumb, with no power of any sort; a wearisome burden is he to his master; whichever way be directs him, he brings no good: is such a man equal with one who commands Justice, and is on a Straight Way? PICKTHAL: And Allah coineth a similitude: Two men, one of them dumb, having control of nothing, and he is a burden on his owner; whithersoever he directeth him to go, he bringeth no good. Is he equal with one who enjoineth justice and followeth a straight path (of conduct)? SHAKIR: And Allah sets forth a parable of two men; one of them is dumb, not able to do anything, and he is a burden to his master; wherever he sends him, he brings no good; can he be held equal with him who enjoins what is just, and he (himself) is on the right path? YUSUFALI: To Allah belongeth the Mystery of the heavens and the earth. And the Decision of the Hour (of Judgment) is as the twingkling of an eye, or even quicker: for Allah hath power over all things. PICKTHAL: And unto Allah belongeth the Unseen of the heavens and the earth, and the matter of the Hour (of Doom) is but as a twinkling of the eye, or it is nearer still. Lo! Allah is Able to do all things. SHAKIR: And Allah's is the unseen of the heavens and the earth; and the matter of the hour is but as the twinkling of an eye or it is higher still; surely Allah has power over all things. YUSUFALI: It is He Who brought you forth from the wombs of your mothers when ye knew nothing; and He gave you hearing and sight and intelligence and affections: that ye may give thanks (to Allah). PICKTHAL: And Allah brought you forth from the wombs of your mothers knowing nothing, and gave you hearing and sight and hearts that haply ye might give thanks. SHAKIR: And Allah has brought you forth from the wombs of your mothers-- you did not know anything-- and He gave you hearing and sight and hearts that you may give thanks. YUSUFALI: Do they not look at the birds, held poised in the midst of (the air and) the sky? Nothing holds them up but (the power of) Allah. Verily in this are signs for those who believe. PICKTHAL: Have they not seen the birds obedient in mid-air? None holdeth them save Allah. Lo! herein, verily, are portents for a people who believe. SHAKIR: Do they not see the birds, constrained in the middle of the sky? None withholds them but Allah; most surely there are signs in this for a people who believe. YUSUFALI: It is Allah Who made your habitations homes of rest and quiet for you; and made for you, out of the skins of animals, (tents for) dwellings, which ye find so light (and handy) when ye travel and when ye stop (in your travels); and out of their wool, and their soft fibres (between wool and hair), and their hair, rich stuff and articles of convenience (to serve you) for a time. PICKTHAL: And Allah hath given you in your houses an abode, and hath given you (also), of the hides of cattle, houses which ye find light (to carry) on the day of migration and on the day of pitching camp; and of their wool and their fur and their hair, caparison and comfort for a while. SHAKIR: And Allah has given you a place to abide in your houses, and He has given you tents of the skins of cattle which you find light to carry on the day of your march and on the day of your halting, and of their wool and their fur and their hair (He has given you) household stuff and a provision for a time. YUSUFALI: It is Allah Who made out of the things He created, some things to give you shade; of the hills He made some for your shelter; He made you garments to protect you from heat, and coats of mail to protect you from your (mutual) violence. Thus does He complete His favours on you, that ye may bow to His Will (in Islam). PICKTHAL: And Allah hath given you, of that which He hath created, shelter from the sun; and hath given you places of refuge in the mountains, and hath given you coats to ward off the heat from you, and coats (of armour) to save you from your own foolhardiness. Thus doth He perfect His favour unto you, in order that ye may surrender (unto Him). SHAKIR: And Allah has made for you of what He has created shelters, and He has given you in the mountains places of retreat, and He has given you garments to preserve you from the heat and coats of mail to preserve you in your fighting; even thus does He complete His favor upon you, that haply you may submit. YUSUFALI: But if they turn away, thy duty is only to preach the clear Message. PICKTHAL: Then, if they turn away, thy duty (O Muhammad) is but plain conveyance (of the message). SHAKIR: But if they turn back, then on you devolves only the clear deliverance (of the message). YUSUFALI: They recognise the favours of Allah; then they deny them; and most of them are (creatures) ungrateful. PICKTHAL: They know the favour of Allah and then deny it. Most of them are ingrates. SHAKIR: They recognize the favor of Allah, yet they deny it, and most of them are ungrateful. YUSUFALI: One Day We shall raise from all Peoples a Witness: then will no excuse be accepted from Unbelievers, nor will they receive any favours. PICKTHAL: And (bethink you of) the day when we raise up of every nation a witness, then there is no leave for disbelievers, nor are they allowed to make amends. SHAKIR: And on the day when We will raise up a witness out of every nation, then shall no permission be given to those who disbelieve, nor shall they be made to solicit favor. YUSUFALI: When the wrong-doers (actually) see the Penalty, then will it in no way be mitigated, nor will they then receive respite. PICKTHAL: And when those who did wrong behold the doom, it will not be made light for them, nor will they be reprieved. SHAKIR: And when those who are unjust shall see the chastisement, it shall not be lightened for them, nor shall they be respited. .
YUSUFALI: When those who gave partners to Allah will see their "partners", they will say: "Our Lord! these are our 'partners,' those whom we used to invoke besides Thee." But they will throw back their word at them (and say): "Indeed ye are liars!" PICKTHAL: And when those who ascribed partners to Allah behold those partners of theirs, they will say: Our Lord! these are our partners unto whom we used to cry instead of Thee. But they will fling to them the saying: Lo! ye verily are liars! SHAKIR: And when those who associate (others with Allah) shall see their associate-gods, they shall say: Our Lord, these are our associate-gods on whom we called besides Thee. But they will give them back the reply: Most surely you are liars. YUSUFALI: That Day shall they (openly) show (their) submission to Allah; and all their inventions shall leave them in the lurch. PICKTHAL: And they proffer unto Allah submission on that day, and all that they used to invent hath failed them. SHAKIR: And they shall tender submission to Allah on that day; and what they used to forge shall depart from them. YUSUFALI: Those who reject Allah and hinder (men) from the Path of Allah - for them will We add Penalty to Penalty; for that they used to spread mischief. SHAKIR: (As for) those who disbelieve and turn away from Allah's way, We will add chastisement to their chastisement because they made mischief. YUSUFALI: One day We shall raise from all Peoples a witness against them, from amongst themselves: and We shall bring thee as a witness against these (thy people): and We have sent down to thee the Book explaining all things, a Guide, a Mercy, and Glad Tidings to Muslims. PICKTHAL: And (bethink you of) the day when We raise in every nation a witness against them of their own folk, and We bring thee (Muhammad) as a witness against these. And We reveal the Scripture unto thee as an exposition of all things, and a guidance and a mercy and good tidings for those who have surrendered (to Allah). SHAKIR: And on the day when We will raise up in every people a witness against them from among themselves, and bring you as a witness against these-- and We have revealed the Book to you explaining clearly everything, and a guidance and mercy and good news for those who submit. YUSUFALI: Allah commands justice, the doing of good, and liberality to kith and kin, and He forbids all shameful deeds, and injustice and rebellion: He instructs you, that ye may receive admonition. PICKTHAL: Lo! Allah enjoineth justice and kindness, and giving to kinsfolk, and forbiddeth lewdness and abomination and wickedness. He exhorteth you in order that ye may take heed. SHAKIR: Surely Allah enjoins the doing of justice and the doing of good (to others) and the giving to the kindred, and He forbids indecency and evil and rebellion; He admonishes you that you may be mindful. YUSUFALI: Fulfil the Covenant of Allah when ye have entered into it, and break not your oaths after ye have confirmed them; indeed ye have made Allah your surety; for Allah knoweth all that ye do. PICKTHAL: Fulfil the covenant of Allah when ye have covenanted, and break not your oaths after the asseveration of them, and after ye have made Allah surety over you. Lo! Allah knoweth what ye do. SHAKIR: And fulfill the covenant of Allah when you have made a covenant, and do not break the oaths after making them fast, and you have indeed made Allah a surety for you; surely Allah I . knows what you do. YUSUFALI: And be not like a woman who breaks into untwisted strands the yarn which she has spun, after it has become strong. Nor take your oaths to practise deception between yourselves, lest one party should be more numerous than another: for Allah will test you by this; and on the Day of Judgment He will certainly make clear to you (the truth of) that wherein ye disagree. PICKTHAL: And be not like unto her who unravelleth the thread, after she hath made it strong, to thin filaments, making your oaths a deceit between you because of a nation being more numerous than (another) nation. Allah only trieth you thereby, and He verily will explain to you on the Day of Resurrection that wherein ye differed. SHAKIR: And be not like her who unravels her yarn, disintegrating it into pieces after she has spun it strongly. You make your oaths to be means of deceit between you because (one) nation is more numerous than (another) nation. Allah only tries you by this; and He will most certainly make clear to you on the resurrection day that about which you differed. YUSUFALI: If Allah so willed, He could make you all one people: But He leaves straying whom He pleases, and He guides whom He pleases: but ye shall certainly be called to account for all your actions. PICKTHAL: Had Allah willed He could have made you (all) one nation, but He sendeth whom He will astray and guideth whom He will, and ye will indeed be asked of what ye used to do. SHAKIR: And if Allah please He would certainly make you a single nation, but He causes to err whom He pleases and guides whom He pleases; and most certainly you will be questioned as to what you did. YUSUFALI: And take not your oaths, to practise deception between yourselves, with the result that someone's foot may slip after it was firmly planted, and ye may have to taste the evil (consequences) of having hindered (men) from the Path of Allah, and a Mighty Wrath descend on you. PICKTHAL: Make not your oaths a deceit between you, lest a foot should slip after being firmly planted and ye should taste evil forasmuch as ye debarred (men) from the way of Allah, and yours should be an awful doom. SHAKIR: And do not make your oaths a means of deceit between you, lest a foot should slip after its stability and you should taste evil because you turned away from Allah's way and grievous punishment be your (lot). YUSUFALI: Nor sell the covenant of Allah for a miserable price: for with Allah is (a prize) far better for you, if ye only knew. PICKTHAL: And purchase not a small gain at the price of Allah's covenant. Lo! that which Allah hath is better for you, if ye did but know. SHAKIR: And do not take a small price in exchange for Allah's covenant; surely what is with Allah is better for you, did you but know. YUSUFALI: What is with you must vanish: what is with Allah will endure. And We will certainly bestow, on those who patiently persevere, their reward according to the best of their actions. PICKTHAL: That which ye have wasteth away, and that which Allah hath remaineth. And verily We shall pay those who are steadfast a recompense in proportion to the best of what they used to do. SHAKIR: What is with you passes away and what is with Allah is enduring; and We will most certainly give to those who are patient their reward for the best of what they did. YUSUFALI: Whoever works righteousness, man or woman, and has Faith, verily, to him will We give a new Life, a life that is good and pure and We will bestow on such their reward according to the best of their actions. PICKTHAL: Whosoever doeth right, whether male or female, and is a believer, him verily we shall quicken with good life, and We shall pay them a recompense in proportion to the best of what they used to do. SHAKIR: Whoever does good whether male or female and he is a believer, We will most certainly make him live a happy life, and We will most certainly give them their reward for the best of what they did. 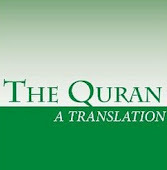 YUSUFALI: When thou dost read the Qur'an, seek Allah's protection from Satan the rejected one. PICKTHAL: And when thou recitest the Qur'an, seek refuge in Allah from Satan the outcast. YUSUFALI: No authority has he over those who believe and put their trust in their Lord. PICKTHAL: Lo! he hath no power over those who believe and put trust in their Lord. SHAKIR: Surely he has no authority over those who believe and rely on their Lord. YUSUFALI: His authority is over those only, who take him as patron and who join partners with Allah. PICKTHAL: His power is only over those who make a friend of him, and those who ascribe partners unto Him (Allah). SHAKIR: His authority is only over those who befriend him and those who associate others with Him. YUSUFALI: When We substitute one revelation for another,- and Allah knows best what He reveals (in stages),- they say, "Thou art but a forger": but most of them understand not. PICKTHAL: And when We put a revelation in place of (another) revelation, - and Allah knoweth best what He revealeth - they say: Lo! thou art but inventing. Most of them know not. SHAKIR: And when We change (one) communication for (another) communication, and Allah knows best what He reveals, they say: You are only a forger. Nay, most of them do not know. YUSUFALI: Say, the Holy Spirit has brought the revelation from thy Lord in Truth, in order to strengthen those who believe, and as a Guide and Glad Tidings to Muslims. PICKTHAL: Say: The holy Spirit hath delivered it from thy Lord with truth, that it may confirm (the faith of) those who believe, and as guidance and good tidings for those who have surrendered (to Allah). SHAKIR: Say: The Holy spirit has revealed it from your Lord with the truth, that it may establish those who believe and as a guidance and good news for those who submit. YUSUFALI: We know indeed that they say, "It is a man that teaches him." The tongue of him they wickedly point to is notably foreign, while this is Arabic, pure and clear. PICKTHAL: And We know well that they say: Only a man teacheth him. The speech of him at whom they falsely hint is outlandish, and this is clear Arabic speech. SHAKIR: And certainly We know that they say: Only a mortal teaches him. The tongue of him whom they reproach is barbarous, and this is clear Arabic tongue. YUSUFALI: Those who believe not in the Signs of Allah,- Allah will not guide them, and theirs will be a grievous Penalty. PICKTHAL: Lo! those who disbelieve the revelations of Allah, Allah guideth them not and theirs will be a painful doom. SHAKIR: (As for) those who do not believe in Allah's communications, surely Allah will not guide them, and they shall have a painful punishment. YUSUFALI: It is those who believe not in the Signs of Allah, that forge falsehood: it is they who lie! PICKTHAL: Only they invent falsehood who believe not Allah's revelations, and (only) they are the liars. SHAKIR: Only they forge the lie who do not believe in Allah's communications, and these are the liars. YUSUFALI: Any one who, after accepting faith in Allah, utters Unbelief,- except under compulsion, his heart remaining firm in Faith - but such as open their breast to Unbelief, on them is Wrath from Allah, and theirs will be a dreadful Penalty. PICKTHAL: Whoso disbelieveth in Allah after his belief - save him who is forced thereto and whose heart is still content with the Faith - but whoso findeth ease in disbelief: On them is wrath from Allah. Theirs will be an awful doom. SHAKIR: He who disbelieves in Allah after his having believed, not he who is compelled while his heart is at rest on account of faith, but he who opens (his) breast to disbelief-- on these is the wrath of Allah, and they shall have a grievous chastisement. YUSUFALI: This because they love the life of this world better than the Hereafter: and Allah will not guide those who reject Faith. PICKTHAL: That is because they have chosen the life of the world rather than the Hereafter, and because Allah guideth not the disbelieving folk. SHAKIR: This is because they love this world's life more than the hereafter, and because Allah does not guide the unbelieving people. YUSUFALI: Those are they whose hearts, ears, and eyes Allah has sealed up, and they take no heed. PICKTHAL: Such are they whose hearts and ears and eyes Allah hath sealed. And such are the heedless. SHAKIR: These are they on whose hearts and their hearing and their eyes Allah has set a seal, and these are the heedless ones. YUSUFALI: Without doubt, in the Hereafter they will perish. PICKTHAL: Assuredly in the Hereafter they are the losers. SHAKIR: No doubt that in the hereafter they will be the losers. YUSUFALI: But verily thy Lord,- to those who leave their homes after trials and persecutions,- and who thereafter strive and fight for the faith and patiently persevere,- Thy Lord, after all this is oft-forgiving, Most Merciful. PICKTHAL: Then lo! thy Lord - for those who became fugitives after they had been persecuted, and then fought and were steadfast - lo! thy Lord afterward is (for them) indeed Forgiving, Merciful. SHAKIR: Yet surely your Lord, with respect to those who fly after they are persecuted, then they struggle hard and are patient, most surely your Lord after that is Forgiving, Merciful. YUSUFALI: One Day every soul will come up struggling for itself, and every soul will be recompensed (fully) for all its actions, and none will be unjustly dealt with. PICKTHAL: On the Day when every soul will come pleading for itself, and every soul will be repaid what it did, and they will not be wronged. SHAKIR: (Remember) the day when every soul shall come, pleading for itself and every soul shall be paid in full what it has done, and they shall not be dealt with unjustly. YUSUFALI: Allah sets forth a Parable: a city enjoying security and quiet, abundantly supplied with sustenance from every place: Yet was it ungrateful for the favours of Allah: so Allah made it taste of hunger and terror (in extremes) (closing in on it) like a garment (from every side), because of the (evil) which (its people) wrought. PICKTHAL: Allah coineth a similitude: a township that dwelt secure and well content, its provision coming to it in abundance from every side, but it disbelieved in Allah's favours, so Allah made it experience the garb of dearth and fear because of what they used to do. SHAKIR: And Allah sets forth a parable: (Consider) a town safe and secure to which its means of subsistence come in abundance from every quarter; but it became ungrateful to Allah's favors, therefore Allah made it to taste the utmost degree of hunger and fear because of what they wrought. YUSUFALI: And there came to them a Messenger from among themselves, but they falsely rejected him; so the Wrath seized them even in the midst of their iniquities. PICKTHAL: And verily there had come unto them a messenger from among them, but they had denied him, and so the torment seized them while they were wrong-doers. SHAKIR: And certainly there came to them a Messenger from among them, but they rejected him, so the punishment overtook them while they were unjust. YUSUFALI: So eat of the sustenance which Allah has provided for you, lawful and good; and be grateful for the favours of Allah, if it is He Whom ye serve. PICKTHAL: So eat of the lawful and good food which Allah hath provided for you, and thank the bounty of your Lord if it is Him ye serve. SHAKIR: Therefore eat of what Allah has given you, lawful and good (things), and give thanks for Allah's favor if Him do you serve. YUSUFALI: He has only forbidden you dead meat, and blood, and the flesh of swine, and any (food) over which the name of other than Allah has been invoked. But if one is forced by necessity, without wilful disobedience, nor transgressing due limits,- then Allah is Oft-Forgiving, Most Merciful. PICKTHAL: He hath forbidden for you only carrion and blood and swineflesh and that which hath been immolated in the name of any other than Allah; but he who is driven thereto, neither craving nor transgressing, lo! then Allah is Forgiving, Merciful. SHAKIR: He has only forbidden you what dies of itself and blood and flesh of swine and that over which any other name than that of Allah has been invoked, but whoever is driven to necessity, not desiring nor exceeding the limit, then surely Allah is Forgiving, Merciful. YUSUFALI: But say not - for any false thing that your tongues may put forth,- "This is lawful, and this is forbidden," so as to ascribe false things to Allah. For those who ascribe false things to Allah, will never prosper. PICKTHAL: And speak not, concerning that which your own tongues qualify (as clean or unclean), the falsehood: "This is lawful, and this is forbidden," so that ye invent a lie against Allah. Lo! those who invent a lie against Allah will not succeed. SHAKIR: And, for what your tongues describe, do not utter the lie, (saying) This is lawful and this is unlawful, in order to forge a lie against Allah; surely those who forge the lie against Allah shall not prosper. YUSUFALI: (In such falsehood) is but a paltry profit; but they will have a most grievous Penalty. PICKTHAL: A brief enjoyment (will be theirs); and theirs a painful doom. SHAKIR: A little enjoyment and they shall have a painful punishment. YUSUFALI: To the Jews We prohibited such things as We have mentioned to thee before: We did them no wrong, but they were used to doing wrong to themselves. PICKTHAL: And unto those who are Jews We have forbidden that which We have already related unto thee. And We wronged them not, but they were wont to wrong themselves. SHAKIR: And for those who were Jews We prohibited what We have related to you already, and We did them no injustice, but they were unjust to themselves. YUSUFALI: But verily thy Lord,- to those who do wrong in ignorance, but who thereafter repent and make amends,- thy Lord, after all this, is Oft-Forgiving, Most Merciful. PICKTHAL: Then lo! thy Lord - for those who do evil in ignorance and afterward repent and amend - lo! (for them) thy Lord is afterward indeed Forgiving, Merciful. SHAKIR: Yet surely your Lord, with respect to those who do an evil in ignorance, then turn after that and make amends, most surely your Lord after that is Forgiving, Merciful. SHAKIR: Surely Ibrahim was an exemplar, obedient to Allah, upright, and he was not of the polytheists. YUSUFALI: He showed his gratitude for the favours of Allah, who chose him, and guided him to a Straight Way. PICKTHAL: Thankful for His bounties; He chose him and He guided him unto a straight path. SHAKIR: Grateful for His favors; He chose him and guided him on the right path. YUSUFALI: And We gave him Good in this world, and he will be, in the Hereafter, in the ranks of the Righteous. PICKTHAL: And We gave him good in the world, and in the Hereafter he is among the righteous. SHAKIR: And We gave him good in this world, and in the next he will most surely be among the good. YUSUFALI: So We have taught thee the inspired (Message), "Follow the ways of Abraham the True in Faith, and he joined not gods with Allah." PICKTHAL: And afterward We inspired thee (Muhammad, saying): Follow the religion of Abraham, as one by nature upright. He was not of the idolaters. SHAKIR: Then We revealed to you: Follow the faith of Ibrahim, the upright one, and he was not of the polytheists. YUSUFALI: The Sabbath was only made (strict) for those who disagreed (as to its observance); But Allah will judge between them on the Day of Judgment, as to their differences. PICKTHAL: The Sabbath was appointed only for those who differed concerning it, and lo! thy Lord will judge between them on the Day of Resurrection concerning that wherein they used to differ. SHAKIR: The Sabbath was ordained only for those who differed about it, and most surely your Lord will judge between them on the resurrection day concerning that about which they differed. YUSUFALI: Invite (all) to the Way of thy Lord with wisdom and beautiful preaching; and argue with them in ways that are best and most gracious: for thy Lord knoweth best, who have strayed from His Path, and who receive guidance. PICKTHAL: Call unto the way of thy Lord with wisdom and fair exhortation, and reason with them in the better way. Lo! thy Lord is Best Aware of him who strayeth from His way, and He is Best Aware of those who go aright. SHAKIR: Call to the way of your Lord with wisdom and goodly exhortation, and have disputations with them in the best manner; surely your Lord best knows those who go astray from His path, and He knows best those who follow the right way. YUSUFALI: And if ye do catch them out, catch them out no worse than they catch you out: But if ye show patience, that is indeed the best (course) for those who are patient. PICKTHAL: If ye punish, then punish with the like of that wherewith ye were afflicted. But if ye endure patiently, verily it is better for the patient. SHAKIR: And if you take your turn, then retaliate with the like of that with which you were afflicted; but if you are patient, it will certainly be best for those who are patient. YUSUFALI: And do thou be patient, for thy patience is but from Allah; nor grieve over them: and distress not thyself because of their plots. PICKTHAL: Endure thou patiently (O Muhammad). Thine endurance is only by (the help of) Allah. Grieve not for them, and be not in distress because of that which they devise. SHAKIR: And be patient and your patience is not but by (the assistance of) Allah, and grieve not for them, and do not distress yourself at what they plan. YUSUFALI: For Allah is with those who restrain themselves, and those who do good. PICKTHAL: Lo! Allah is with those who keep their duty unto Him and those who are doers of good. SHAKIR: Surely Allah is with those who guard (against evil) and those who do good (to others).